I recently started to follow Michael Rosen’s blog from Twitter links – and enjoyed and re-tweeted his recent letter to Michael Gove. Mr Rosen’s sensible, child-centred opinions, advice and ideas on teaching literacy and on education in general are (quite rightly) highly respected and influential within teaching. So it was with great disappointment that I saw a post today that appeared to question a topic close to my own heart – Wow words. I discovered Big Writing* almost four years ago and it transformed my classroom practice by providing me with a fun, flexible methodology that instantly transformed not only the children’s writing and their results, but their whole attitude and enthusiasm for writing too. 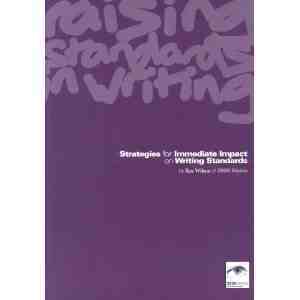 Wow words are one, small but significant, part of the Big Writing approach, designed to switch children on to the language that is all around them in their everyday lives and to think carefully about the vocabulary choices they make, and how they can be used to improve their own writing. Wow word walls are designed to capture and record all of the wonderful words and phrases that children collect themselves through their own class work, reading, writing, conversations, watching television – anywhere! The VCOP concept (vocabulary (wow words), connectives, openers and punctuation) is a simple, easy to remember tool that empowers children to improve their own writing – it encourages them to increase their vocabulary, and their love of language in general, through reading, talking, laughing, sharing and playing games. A wow word wall is a celebration of language that should be created by children – not by teachers. If used properly, it can be a powerful, interactive display. 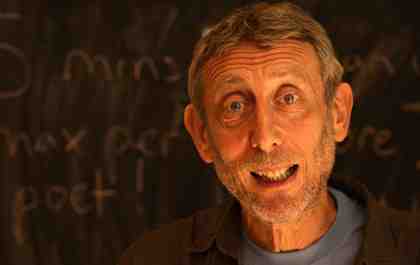 Michael Rosen asks “Who owns Literacy?” In Big Writing children own literacy – if they don’t, you’re doing something wrong. For more information please get in touch with me or click here.